Mechatronics engineering is a concentration which blends mechanical, electrical and computer engineering for the precision control of electromechanical systems. Control is achieved in today’s engineering systems through the use of sensors, actuators and microprocessors. The marriage of modern control systems with mechanical devices is key to the design and development of high-performance engineering systems. This can be seen in computer-controlled mechanical systems such as robots, engine fuel systems, hybrid automobiles, autonomous aerospace vehicles, stair-climbing wheelchairs and alternative power generation systems. Mechatronics engineering opens new avenues of creativity and design, greatly enhancing the utility, performance and efficiency of modern machinery. Over 90 percent of all mechatronics graduates are employed in challenging and exciting engineering positions at over 50 companies, many in the Asheville area. The joint mechatronics engineering curriculum combines the best offerings from two nationally recognized universities. NC State provides the engineering course work from the Departments of Mechanical and Aerospace Engineering (MAE) and Electrical and Computer Engineering (ECE). Hands-on laboratories integral to engineering course work are present throughout the curriculum. From the University of North Carolina at Asheville comes a general education component grounded in a rich liberal arts foundation. The goal of the program is to produce broadly educated engineers who contribute effectively in the diverse and global modern world. The JEM degree is accredited by the Engineering Accreditation Commission of ABET. The Mechatronics Program fosters creativity, teamwork and design skills through a variety of projects and laboratories. At the freshman level, student teams design and fabricate robots for in-class competitions. Sophomore year, many mechatronics engineering courses offer a variety of hands-on laboratory experiences to complement lecture material. 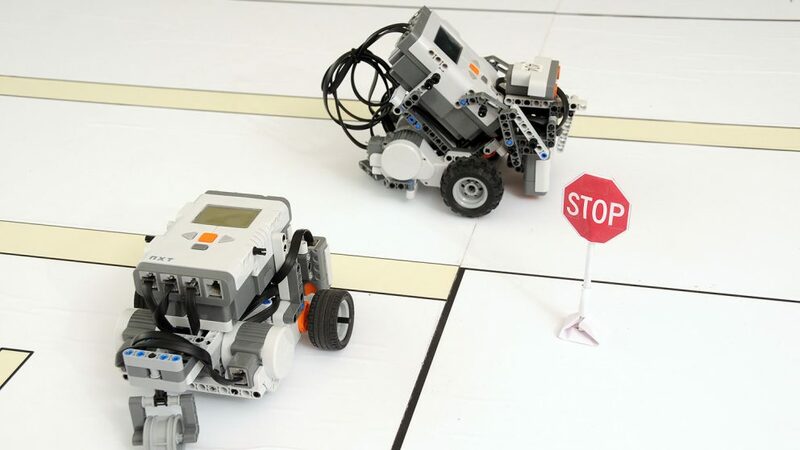 Junior year, student teams build larger, more complex robots targeting FIRST Robotics Competition (FRC) style challenges. Senior projects combine design and fabrication with the fundamentals of mechanical, electrical and computer engineering. 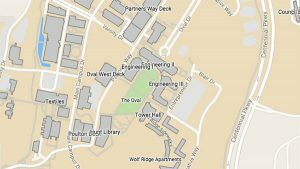 Recent senior projects include computer-controlled solar tracking, interactive artwork, electric and hybrid electric vehicles, and a smart inverter for utility grid stabilization. Designed and built from the ground up, development of such systems provides hands-on experience and an interdisciplinary education that emphasizes teamwork skills. Internships at companies in the field help to provide not only a firsthand experience of engineering practice, but in many instances have led to full-time jobs upon graduation. The Career Centers of both UNC Asheville and NC State work closely with industry representatives to provide listings of engineering jobs and internships that connect students to exciting work experiences. Students have held internships at companies such as Meritor, BorgWarner, Eaton and LORD Corporation.